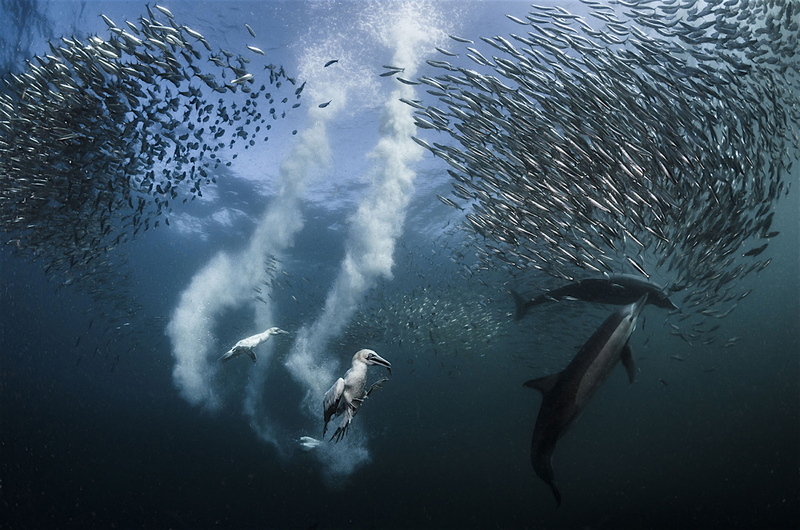 Sardine Run, Grand Prize Winner, and First Place Action Winner. 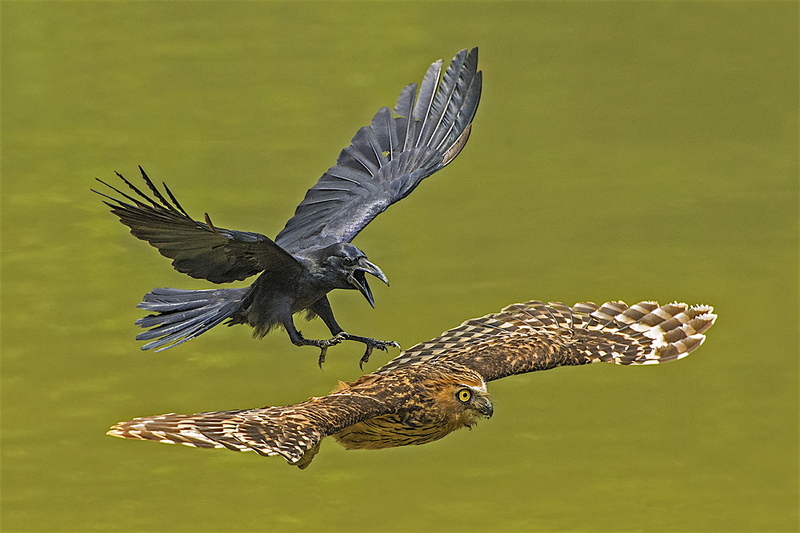 Crow chasing Puffy Owl, Honorable Mention, Animal Portraits. This shot was taken on an early September afternoon along the riverbank at Pasir Ris Park in east Singapore. "So lovely. And so very very "correct" at the same time." I noticed the *correctness* too. I lived near Xenia OH as a kid in 1972 when that area got clobbered by tornadoes.I still remember the devastation. I recall someone's entire front lawn had been sucked up and bunched up like a rug by the sidewalk. 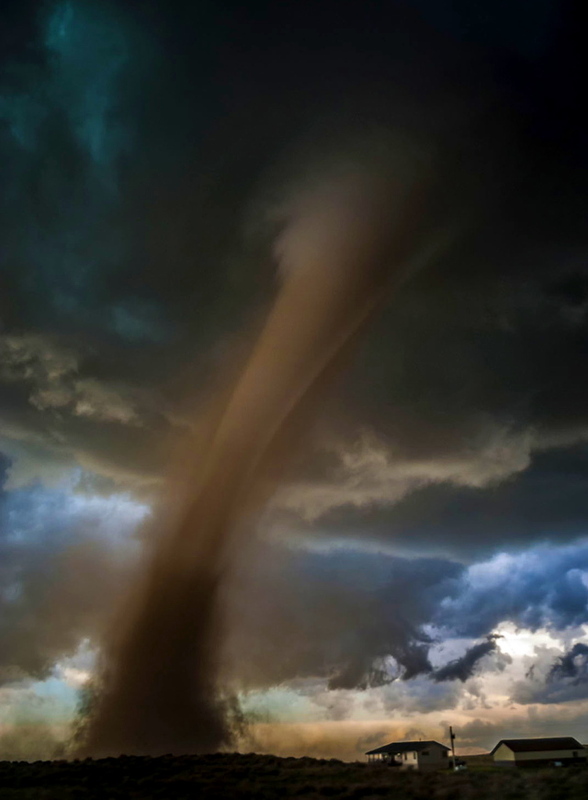 Here in Tornado Alley, I have only seen one tornado in my life and it was the one that wiped out a trailer park in Andover KS, killing a pile of folks. I believe it was a half mile wide and with its rotation, it was difficult to tell what direction it was traveling but at its outside I could see things being ejected out of it. Cars, roofs, entire trees. Missed us by a mile, but for some time after debris kept falling into my lawn. Most of it seemed to be bits of pink insulation from someone's house. Spooky for sure. "proving at once that the crow was the more aggressive species of the two". No. If he decided to, the owl would turn and devastate the crow. No, he just tired of the annoyance and is leaving the area. What he really wants is some nice, juicy, mammal flesh. Not a stringy old crow. But if he got hungry enough and turned those talons back on the crow, the crow would learn very quickly what true aggressiveness is. True, Larry, but at Nat Geo we don't say one animal is meaner than another. Most predatory animals are not mean; no hate crime when they kill you. Crows, however, have the intelligence to be mean. Owls are quite stupid. "They say nowadays that such remains are found very often, as global warming and the ice situation influence the polar bear population." They say. Or, maybe they find more dead polar bears because there are more polar bears. "No Snow, No Ice? A solitary bear sits on the edge of Barter Island, Alaska. There is no snow when, at this time of year, there should be." Is there an animal more solitary than the polar bear? If conditions get any worse, this bear will be the first to die of obesity. This is exactly why I dropped Nat Geo so many years ago. It all became too much for me to stomach. There is no such thing as one crow. They operate in flocks and tell the rest who the bad guy was that hurt them. Owls are fairly singular and nocturnal. This owl is out of it's element.